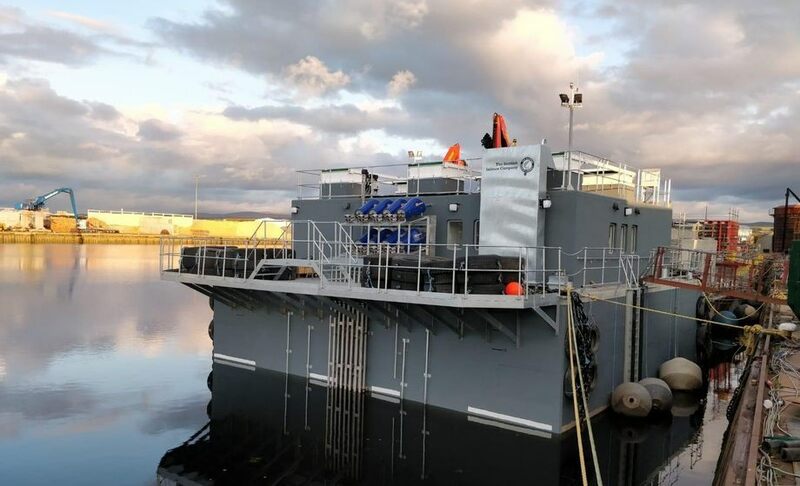 The Scottish Salmon Company has taken delivery of a 400-tonne SeaMate feed barge for its site at Portree, Skye. Scottish aquaculture supplier Gael Force Group built the concrete barge at its headquarters in Inverness, and it was towed around the north of Scotland during the last few days. SSC placed the order for the barge in January, after winning consent to grow an additional 2,000 tonnes of salmon at Portree. 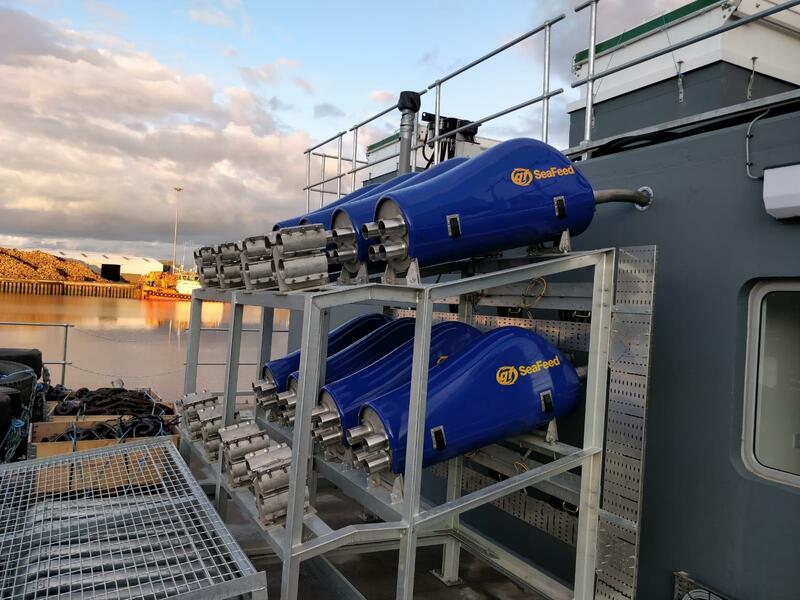 The barge is fitted with an eight-line SeaFeed feeding system, the first time SSC has used Gael Force’s own-brand feeders. Edinburgh-headquartered SSC has a longstanding partnership with Gael Force and in 2016 it signed a contract with the business as preferred supplier of consumables. The barge is the 84th made by Gael Force. 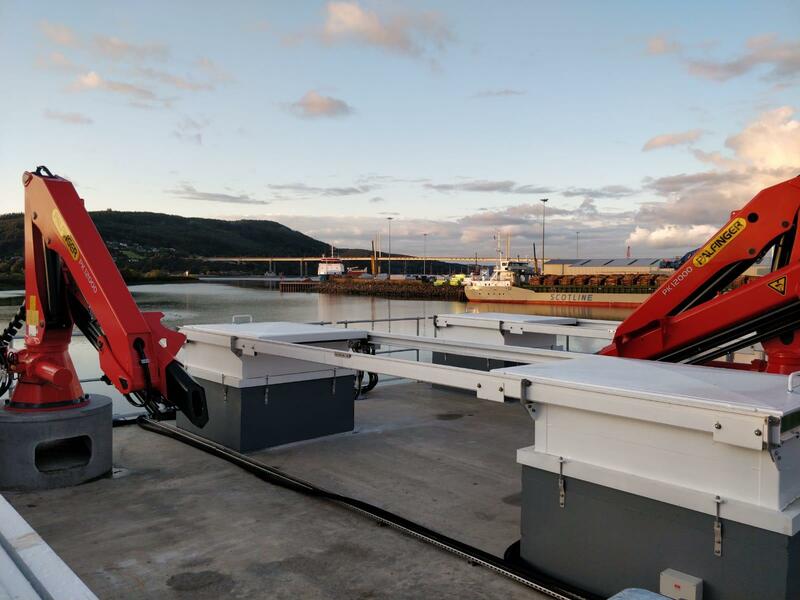 At the time of placing the order for the 14-metre barge, described as one of the most sophisticated of its kind in Scotland, SSC chief executive Craig Anderson said: “We have worked in partnership with Gael Force for several years and this newly-commissioned barge highlights our commitment to supporting Scottish businesses and local sourcing. 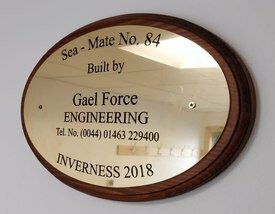 SSC will be using Gael Force's own feeding system for the first time. Cranes and sliding hatch covers on the deck.